If you’ve turned on the TV or glanced up at a billboard lately, you know that texting while driving is a bad idea. Celebrities are lending their names to public awareness campaigns, and more than 40 states have banned the practice. A new study surveyed 1,000 drivers and found that 98% of those who text everyday and drive frequently say the practice is dangerous. Still, nearly 75% say they do it anyway. Viewing images on the windshield of the car is not exactly a new idea, but the technologies developed so far were concepts only designed for luxury models. The Navdy is a simple heads-up display (HUD) that projects notifications, apps, and driving directions directly from your smartphone to the windshield, guaranteeing to keep your eyes on the road. The focus of this project is safe driving. The use of cell phones while driving is increasing accidents at an exponential rate worldwide. With Navdy, the driver can perform a series of tasks on their smartphone without taking getting distracted from the road or having to actually look at the device screen. There are already systems that enable cellphone use by the driver through voice command, but the Navdy seems to do it masterfully. Besides projecting information to the driver, the device recognizes spoken commands and gestures. With this combination of features it allows the drive to answer calls, reply to messages, change songs, check the driving directions indicated on GPS, measure distances traveled and so on. By its looks, you must have realized what makes Navdy be compatible with virtually any car: the device was designed to be simply attached to the dashboard and its see through HUD does not block the windshield. Furthermore, the device can even display information directly on the windshield of the car. For the device to work, you must connect the Navdy into your car’s OBDII port. Besides providing energy, this type of connection also transfers information such as speed, current gear and if there are any mechanical problems. It is clear that such a project has a few setbacks as well. The fixation to the dashboard needs to be strong enough to not come off in case of a collision, the gesture sensors must be fast so that no time-consuming movements would be necessary and the projected images must be clear for the driver to not get distracted trying to understand them. But common sense should still apply: even with Navdy allowing the user to reply to a tweet, for example, it is still safer and more prudent to do so when not behind the wheel. Are Apple and Google Protecting Us or the Criminals? Late last year, Tom Webster and I did a podcast with our six marketing predictions for 2014. Two trends I mentioned were 1) the “malignant complexity” of the web that would lead to an increase in security breaches and 2) the opportunities this would create to actually market data security as a product feature. In an online world under attack from hackers, terrorists, and just plain old bad guys wanting to wreak havoc, the idea of hack-proof Internet data safety will have to be a product feature trumpeted by new devices, software and service providers. My prediction is coming true … but with some unexpected consequences. Keeping people away from your data is not just a feature, it has also become a marketing pitch, as I forecast. Will We Have Any Privacy After the Big Data Revolution? Does the rise of big data mean the downfall of privacy? Mobile technologies now allow companies to map our every physical move, while our online activity is tracked click by click. Throughout 2014, BuzzFeed’s quizzes convinced millions of users to divulge seemingly private responses to a host of deeply personal questions. Although BuzzFeed claimed to mine only the larger trends of aggregate data, identifiable, personalized information could still be passed on to data brokers for a profit. But the big data revolution also benefits individuals who give up some of their privacy. In January of this year, President Obama formed a Big Data and Privacy Working Group that decided big data was saving lives and saving taxpayer dollars, while also recommending new policies to govern big data practices. How much privacy do we really need? In advance of the Zócalo event “Does Corporate America Know Too Much About You? 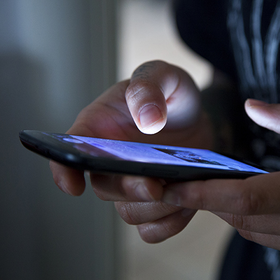 There has been a recurring thought concerning mobile phone security that has been on my mind lately, and as I have been discussing it with clients, it is beginning to make me nervous to know that others out there may not be as aware. 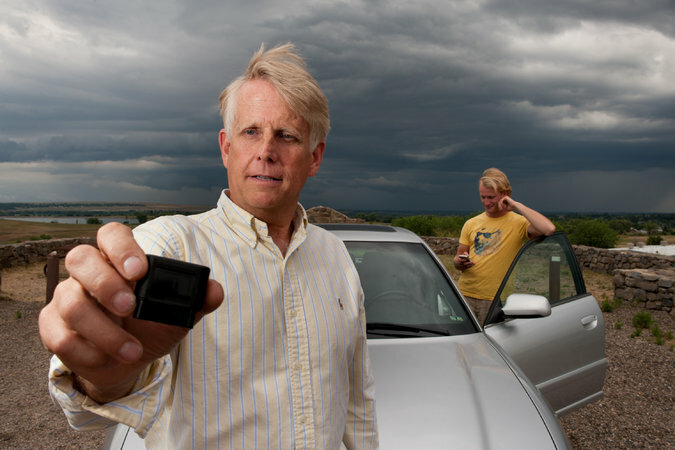 Scott Tibbitts has developed a system that uses a small black box, plugged in under a car’s steering column, to block incoming and outgoing texts and prevent phone calls from reaching the driver. «(…) a novel way to block incoming and outgoing texts and to prevent phone calls from reaching a driver». Facebook has rolled out its long-awaited privacy “checkup” button. The checkup is exactly what it sounds like — a way to quickly scan your activity on the site and see who can view your activity. You’ll be prompted by Facebook’s privacy dinosaur — yes the same little guy who popped up back in May to let you know if your posts were public — to run your checkup. That means users less tuned into tech news won’t have to go hunting down the feature; Facebook will flag it for them. Facebook’s privacy dinosaur pops up to prompt you to take the check-up.